It is the second week of September, and the sun has finally come out of its long hibernation over the Australian winter, and we were greeted with this lovely, lovely, warm spring day. 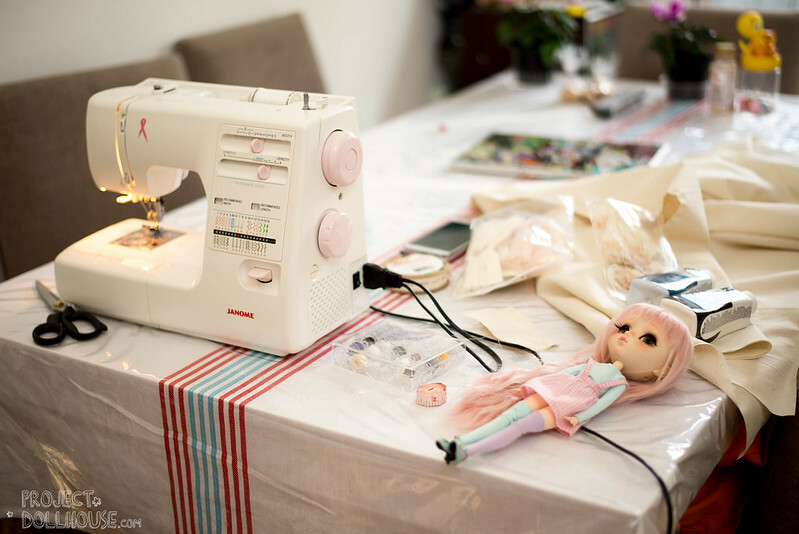 And what better to do then to make dolls, and photograph dolls! Outdoors! Fresh Air! Quick Drying Things! 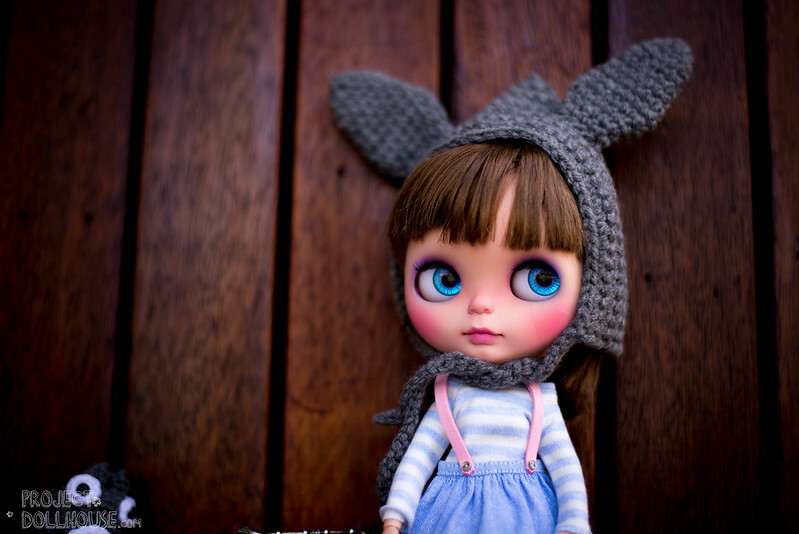 Recently, I had a “Dolly Swap” with the wonderful Olive of Knotted Things. Olive knows my collection quite well, and sent me some of the most adorable things for my girls! Olive is quite the talented crocheter, and made me a set of hats as well as this super-cute amigurumi of Totoro. The most spoilt of my girls on my dolly mail day was definitely Nori! Nori, being a Totoro Girl, was rocking it out with her Totoro-hood as well as a special plushie made just for her. She totally knew that she looked fab! Check out Totoro just peeking in the corner! I think the hat goes super well with her new Petite CreAyations suspender set – I’ll have to do a review of the clothes for you guys soon! 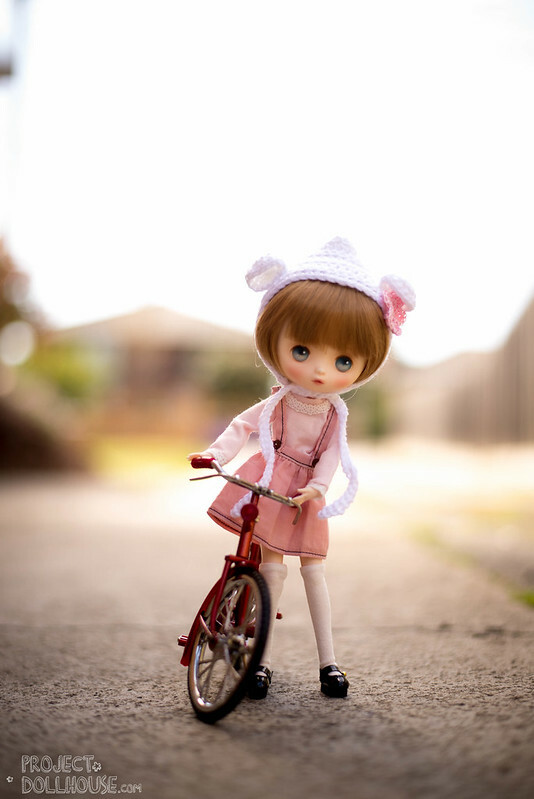 Not to be outdone by Nori, who, as we all know features heavily in this blog – Strawberry the Basic Berry decided to borrow the family bike and go on her grand adventure. She’s also wearing a Knotted Things hat! Check out the cute little flower – and ears! Argh! It is so much fun doing a dolly swap! I’ll have to show you guys the other things that came in the package too! I just need to find some suitable models ;). Thanks Olive! I also went full crafts this weekend, sewing and dying stock for a special girl, and finishing two faceups! Can’t wait to show you guys, once I have some sunlight, and of course, I finish their accessories! If you love the hats, Olive has a shop on Etsy here called OliveLoop. You can also contact Aya about her cute suspender sets – see more on her blog! I’m so happy you liked the things! 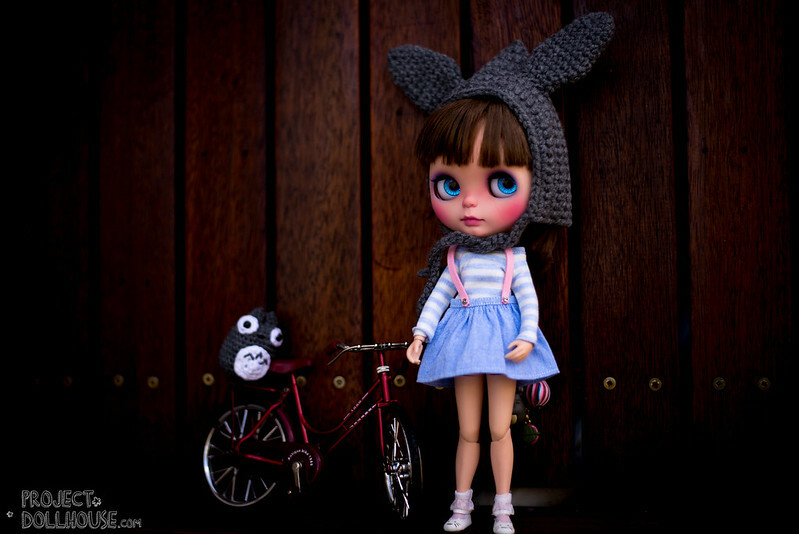 Your Berry looks so cute with that hat and next to her bicycle (was it hard to get her to stand that way?). Love the hats! My Blythes refused to stand but Berry had no problem at all!!! !